If you’ve been anywhere near the internet today, you’ve probably seen that Kimmel revisited health care again last night, calling out Senator Bill Cassidy for the terrible new bill that he co-sponsored with Lindsey Graham and for lying to Kimmel’s face during a previous appearance on his show. 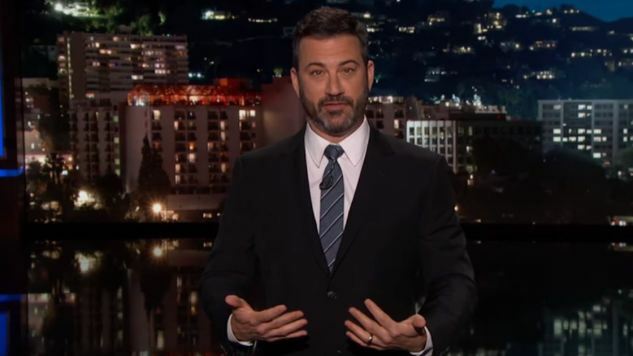 Kimmel, with justified anger and passion, belittles the new bill and demands health care that’s affordable for all before exhorting his viewers to call their congresspersons and voice their displeasure. There’s not a lot of comedy to it, but it’s exactly what we here at Paste were calling for earlier this month: for the small, select, homogeneous group of millionaire comedians privileged enough to have an hour or so of nightly national broadcast time to use it for the public good when touching upon politics instead of helping disingenuous and dishonest partisan hacks rehabilitate their image. This is clearly a losing battle—the Emmys and its embarrassing Spicer cameo were just three days ago—but as frequent critics of Kimmel and his late-night colleagues we should at least acknowledge when they do get it right. We have little hope this foreshadows any kind of long-term change in how these shows approach politics, though. “Not making health care cost more for less coverage” is about the only thing most of us can agree on today. Preventing Congress from destroying our health care system might be the most pressing issue at this immediate moment, and one that unites pretty much every American outside the richest of the rich and the most brainwashed devotees of right-wing media, but when this bill (hopefully) dies, we’ll be back to all the other horribly depressing issues tearing this country apart and threatening the safety and security of the entire world. Most of which, of course, are being pushed by the people in charge here in America. Kimmel’s continued focus on health care is greatly commendable, but it’ll just be a momentary blip on the cultural radar if, in a few weeks, he’s back to trading quips with the people who support, endorse and lie about policies that actively hurt innocent people—from health care, to immigration, to the “travel” ban, to the rise of white nationalism. We’re not asking for every comedian or comedy show to get political. (Although, hey, if there was ever a time for that, it’d be now, don’t you think?) That would be exhausting and most of us need some kind of escape from the constant partisanship and political bickering that our country has devolved into. Since it’s clearly going to keep happening, though, as seen by the controversy-courting bookings of Spicer, Anthony Scaramucci, Trump himself on The Tonight Show and Saturday Night Live, etc., they should at least make sure they’re using their “immense power” to help bring us together rather than playing footsie with the elites trying to tear us apart. Hopefully Kimmel remembers that, and the guy we see in this video is the guy we start seeing regularly on ABC after the local news.